Rent the Wow white wood platform bed from Inhabitr. 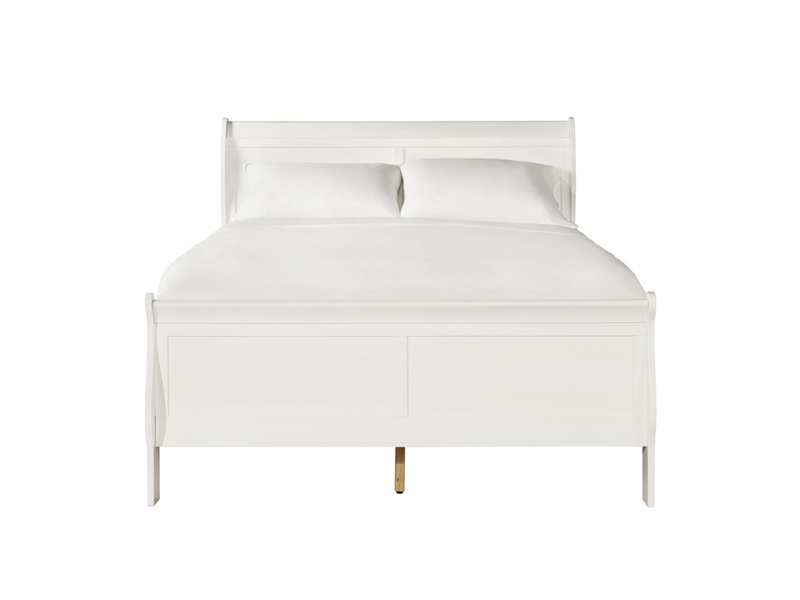 The Wow White Bed will go great with a more traditional design style. The bed features a nice, sturdy structure, making for a durable piece that will give you a great night's sleep. Rent it with our Inhabitr memory foam mattress for a complete sleeping solution. Dimension: 83.94W x 56.22D x HB: 47.